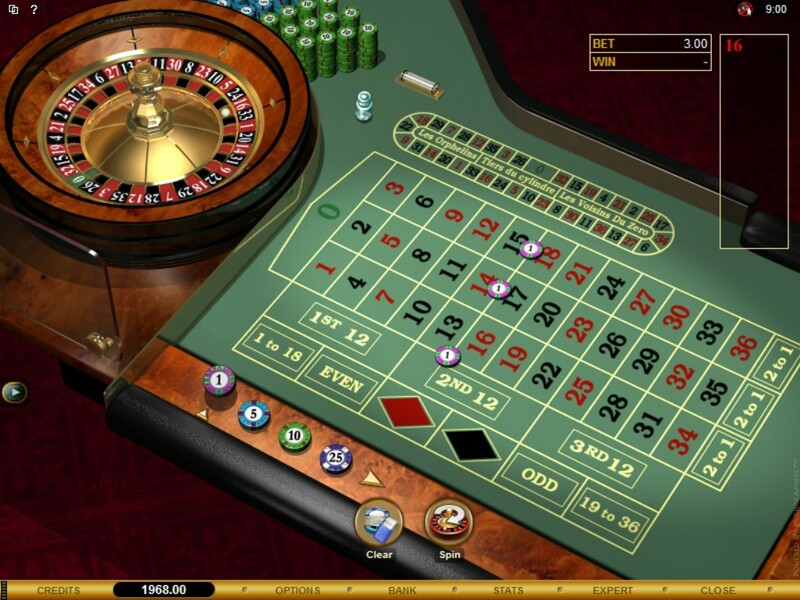 You can often have hours of fun playing Roulette online, however one aspect of playing this popular casino table game in the online environment that takes some players by surprise is the often quite high minimum chip settings on offer along with the often out of reach minimum wagering requirements attached to some software providers Roulette games. With this is mind today we are going to introduce you to a couple of ways that you should be able to play Roulette online but for slightly lower stake levels. Being such a high variance type of game it makes perfect sense for players to want to be able to play for low stake amounts as by doing so their gambling budget will of course stretch further, and when they are on something of a losing streak then by playing for small stake amounts they can often ride out those streaks until a winning one appears! There are some online casinos that will allow you to set your casino account in another currency other than your own, and this may be a way of your being able to play Roulette but for lower stakes than the minimum required wagers that are permitted when you are playing in your own home currency. Take for example UK based players, with the Pound being quite strong against the US Dollar then if the casino at which you are playing at allows you to set your account to any currency, and always make sure their terms and conditions permit you to do this, then you will be able to play with Dollar Chips which when 1.00 GBP is valued at let’s say 1.70 USD then each $1 dollar chip you wager will only be costing your around £0.58! Obviously you will need to be playing in a currency that has a lower value than your own home currency but there are many other examples we could give, so try hunting around for a site that offers multiple different currency options as you should find several that will appeal to you based on the strength of your own and that other currency! As many of the more standard types of Roulette games come with often high valued minimum stake levels that low rolling players cannot afford to play for, then it may be worth considering playing some of the Roulette games which offer some form of bonus bet. There are often several of these types of Roulette games variants at casinos that are powered by or have the range of IGT Interactive casino games on offer, and you will often find that the minimum stake and minimum chip settings on these types of games will be much lower than on those standard Roulette games such as American and European Roulette. We should point out that if you play any Roulette variant offering a Bonus Bet then you should avoid placing those bonus bets due to the increased house edge, but as the minimum stakes and chips levels are lower than other games this is a possible way to get around the higher minimum stake limits imposed on other games! Keep in mind though whichever Roulette game variants you do choose to play you will want to end up playing one with a low base game house edge, and as such the French Roulette game should be the one you should be looking to play for that game has a house edge of 1.35% on the even money paying locations. Failing that opt to play the European Roulette game variant which has a house edge of just 2.70% which is a lot lower than the 5.26% house edge on the American Roulette game variant! If you are only into low stakes games, then try to avoid the progressive Roulette games that you will find on offer online, for some of these games will force you to play a mandatory side bet of usually 1.00 alongside all bets played on each single spin of the wheel. That side bets feeds the progressive jackpot and also a range of bonus payouts, but that obligatory wager requirement can often make your bankroll diminish more so if you do not hit any winning bonus payouts when playing and also due to the value of the bet when you are playing for low stakes! The attraction of Roulette to a lot of players is that this is one casino table game on which you can and may often get onto some very profitable winning streaks. There will be times when you can do no wrong and once you do start to spin in winning number after winning number it can be very easy to start increasing your stakes to try and take advantage of that winning session. However, always remember there is a house edge attached to any Roulette game, and eventually your luck will turn! So always keep that in mind and have a robust Money Management system in place that will enable you to set aside a fair chunk of any winnings you have made during any one session playing Roulette, and always be prepared to stop playing once you have amassed your winning goal. One way you can lock in a profit when playing Roulette online and put your winnings out of harm’s way is for you to make a withdrawal, half way through a Roulette playing session if required. A large casino account balance is always going to be a temptation to any online gambler and you will not want to end up over staking once you are winning and then watching that balance slowly drip away to nothing!